this is just a quick post to tell you all about my new earrings i picked up from primark the other day for just £1 (what a barg!) they are so cute and i love them.. i don't really get the chance to wear them much as most of the time im at school where most of the teachers don't even allow you to wear studs, but as soon as its the weekend i whack these bad boys out like there's no tomorrow! so priddy! however, with the bargain price tag, also comes the not-good-quality-metal-that-leaves-your-earlobes-looking-a-funny-colour-when-you-take-them-out look! Anyone else get that? 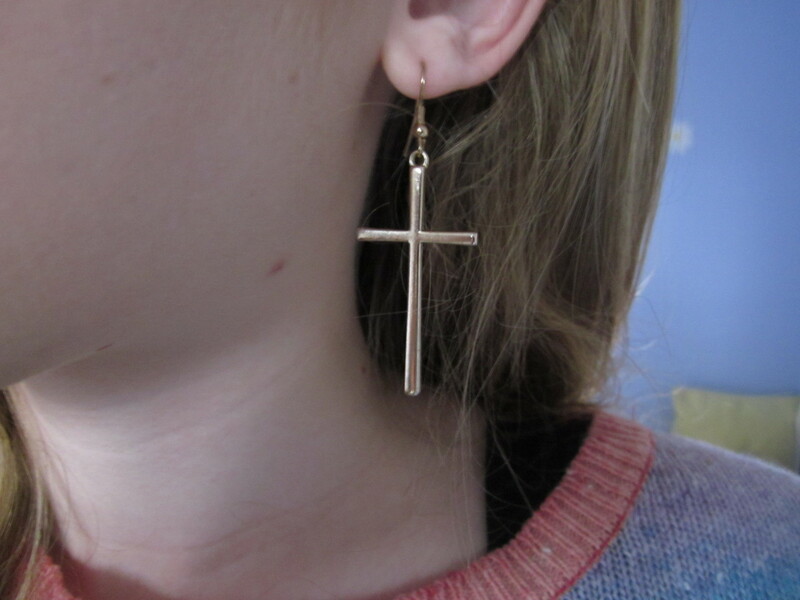 it's not just with primark earrings, it's with all makes that aren't real gold/silver.. sigh. 24 comments on "new earrings!" Hi Olivia, Love your blog! I really like your blog and I'm following you on GFC now. Cute earrings! I love a bargain but I agree with that horrible colour they make your ears go ha! How annoying. 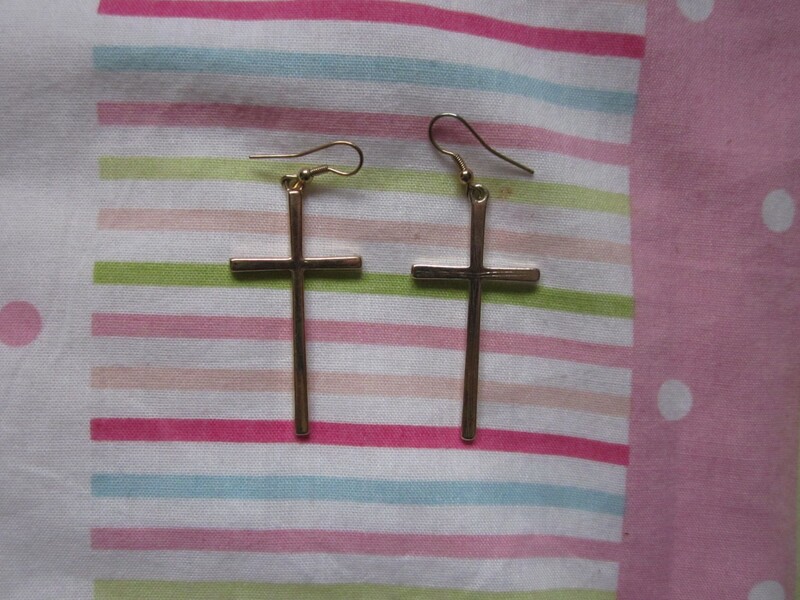 Love love love all the cross jewellery happening at the moment. Very cute earrings!